An 85-year-old man was brutally attacked outside a Planned Parenthood abortion clinic in San Francisco, California. The whole assault was caught on video. The man was innocently praying when he got assaulted, so Christian Post reported. 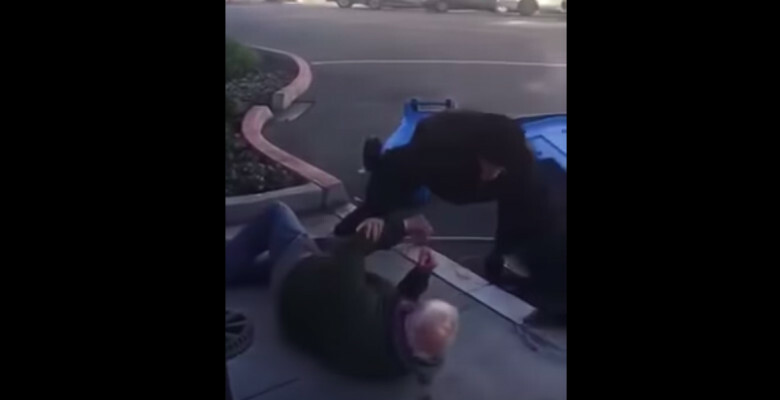 The Life Legal Defense Foundation posted the video, which shows that the elderly prayer warrior, named Ron is being beaten as he is trying to stop the thief who stole a pro-life banner. You can see how the man screams to Ron “Old man, stay on the ground,” before he repeatedly kicks him all over his body.